www.alltaxwork.com for help on all IRS Forms 1040, 1040A, 1040EZ, 1040X, 1065, 1120, 1120S, 1041, 1040NR, 990, associated schedules and related state forms. IRS letters and notices. The wide variety of income tax situations, individual returns, companies, partnerships, LLC's, Estates, Trusts, Wills not to mention tax exempt entities is perplexing in itself. Throw in each individual or business situation from working teenager to recent widow. How does anyone know if they are breaking the tax law or missing tax reducion opportunities? 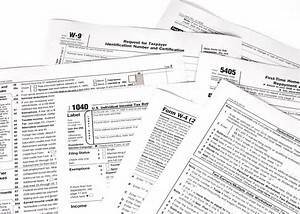 In addition, there are more and more options available to people to file their taxes - do it by hand, buy a software products such as TurboTax, visit a retail outlet such as H&R Block and hope your advisor is sufficiently knowledgeable, employ an Enrolled Agent, or a CPA or a tax attorney? Costs vary wildly as does knowledge. Our goal is to make your tax planning and return preparation as cost efficient as possible. In other words, no one should pay more taxes than those required under the tax laws nor pay excessively to file their tax return. You tell us what service you want us to do: advice on tax planning such as a particular transaction eg sale of some property, purchase software to prepare your taxes yourself, respond to a letter from the IRS or other tax authority, or have your tax return filed or amended. We see all your documents relating to your requirement asking pertinent questions. We propose our fee up front on the service you need so you can determine whether our cost is worth the service. If necessary, we research the tax laws relating to your situation, for instance can you reduce your tax bill by taking advantage of some exception? Who or what is AllTaxWork? My name is Michael Strong, I'm an Enrolled Agent with a degree in Law from Cambridge University England. 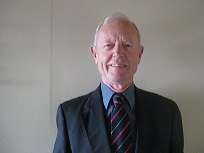 I was a Fellow Member of the Royal Institute of Chartered Accountants in England and Wales. This means that I understand bookkeeping, preparing profit and loss statements and balance sheets and can read complex legal documents. As an Enrolled Agent, I am enrolled to practice before the Internal Revenue Service. Carry overs. Recent tax increases especially for those earning over $200k, limit many deductions. These should be carried over to later years. Make sure you or your tax preparer understands this.